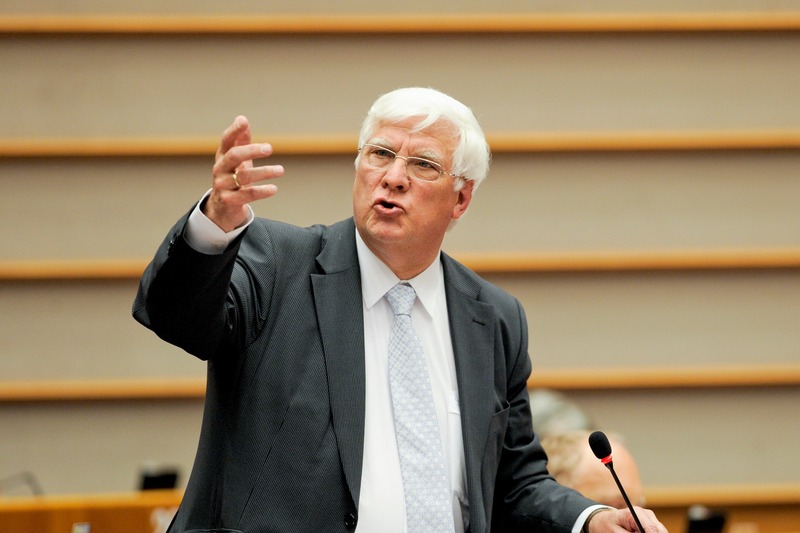 The Dutch MEP Bas Belder announced on Monday (16 June) that he was joining the European Conservatives and Reformists (ECR) group in the EU Parliament, dealing yet another blow to Nigel Farage’s bid to form a Eurosceptic faction in the Strasbourg-based Assembly. Belder, the only elected MEP for the Dutch Reformed Party (SGP), will join the Conservatives’ faction in the new European Parliament, the party announced on its website. In the past five years, Belder sat with British Eurosceptic Nigel Farage in a Parliament political grouping called Europe for Freedom and Democracy (EFD). But Belder campaigned in coalition with another Dutch party, the ChristianUnion, whose single MEP is a member of the rival ECR group led by the British Conservatives. “The consultations in the past days have built sufficient trust with Belder to join the faction,” the SGP said in the statement. Belder’s move delivers one more seat to the ECR, bringing them to a total of 64 seats. But the move is especially painful for Farage and his EFD group. The threshold to form a group in Parliament includes having delegations from 7 different member states, and a minimum of 25 MEPs. Farage’s UKIP party gained 24 MEP seats on itself in the EU elections. But he has had difficulties attracting MEPs from other countries. The EFD had earlier lost member parties in Denmark and Finland – the Danish People’s Party and The Finns – to the ECR. The ECR also scooped up a number of new MEPs who entered Parliament, leaving few options to the groups trying to form on their right side of the political spectrum. A notable exception is the Italian Five Star Movement (M5S), which polled its members on which group to join and decided to join Farage’s group in the EU Parliament. The Lithuanian Order and Justice Party (Tvarka ir teisingumas, or TT) also ensured Farage they would stick by the EFD, in an email seen by EURACTIV last Thursday. Meanwhile, right-wing extremists are struggling to find sufficient numbers to form a group of their own. Together with Marine Le Pen’s National Front, and other like-minded parties, Dutch populist Geert Wilders is trying to form a group dubbed the European Alliance for Freedom (EAF). Earlier reports suggested that the EAF was close to finalising its formation. But on Monday, Dutch media reported that Wilders was hesitating to grant membership to the Polish Congress of the New Right. Le Pen and Wilders have only five confirmed nationalities, two short of the required threshold. In the coming days, they are expected to look for new potential partners. Political groups have until Tuesday 24 June to file their application, a European Parliament press officer told EURACTIV. The first session of the new EU Parliament is planned on 1-3 July, in Strasbourg. Despite a rise in anti-European parties, political balances remained broadly unchanged in the European Parliament following the elections held between 22 and 25 May, with the centre-right and centre-left parties on track for a grand coalition. The centre-right European People’s Party (EPP) won 221 seats, the Socialists and Democrats (S&D) 189, liberals 59 seats, Green parties 52 and the right-wing Conservatives and Reformist group, 46. The far-left obtained 45 seats, while the existing far-right Europe of Freedom and Democracy group got 38. However, EU Parliament factions negotiate new memberships ahead of the Parliament's first plenary session. A total of 41 non-attached MEPs and the 60 MEPs for new parties are in play. Many of those belong to populist and extremist parties hostile to European integration. 14-17 July: Second plenary session.